Chellese describes Iman as a smarter than smart go-getter, who pushed her to attend CancerCON. Iman had told her, ‘I’m going to do this thing, and it’ll be good for you, so I’m going to make sure it’s free for you. Just come.’ Iman ended up winning a top prize for fundraising, which included free CancerCON attendance for herself and a friend – Chellese. 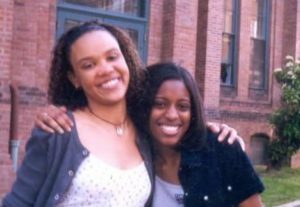 “Her pushing me in that direction was no accident,” Chellese said of her amazing best friend. 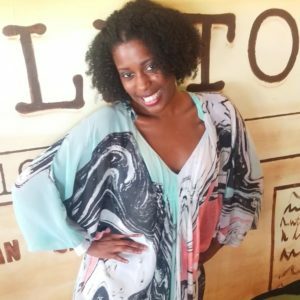 Since then, Chellese has become a rising voice with far reach in her cervical cancer advocacy. Chellese Parker and Iman Perry are an unlikely story. Presidential scholars at Hampton University who became fast friends during their freshman year living in the honors dorm, they shared a love for Jean-Michel Basquiat, the highs and lows of early career changes, and the joy of welcoming Chellese’s baby girl into the world … all before both being diagnosed with cancer as young adults. In the fall of 2010, Chellese was diagnosed with cervical cancer at the age of 29, and in the summer of 2014, Iman was diagnosed with colorectal cancer at the age of 33. As much as they had in common, the two young women had very different cancers and were very different patients. Chellese’s cervical cancer was diagnosed at Stage 1, but Iman’s colorectal cancer was found much later. Iman wasn’t diagnosed until July 2014, but Chellese believes her friend was having symptoms as early as 2007. Because of her age, Iman wasn’t screened for colorectal cancer. Her doctors checked her for everything but that, thinking it was food allergies or a physical manifestation of mental anxiety. Iman’s digestive issues persisted for many years before a colonoscopy was finally performed to rule out cancer, and resulted in a diagnosis of colorectal cancer. 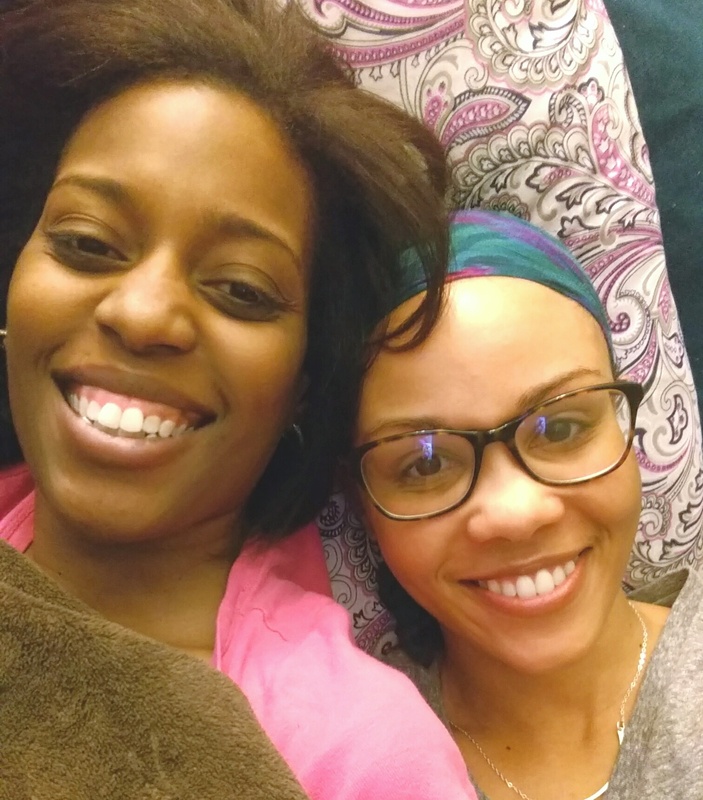 When Chellese was diagnosed with cervical cancer, Iman stepped up to take care of her friend. Through the thick of surgery and recovery, she stayed with Chellese at her house and in the hospital, taking charge to anticipate Chellese’s needs and remind her of what makes her happy. She also told their friends how to be supportive of Chellese. According to Chellese, the most important difference between their cancers is that she never felt her life was threatened, whereas Iman’s mortality was constantly threatened. This humble respect for the major difference between their cancer diagnoses was something Chellese never lost sight of. She tried to give Iman advice and information about the experience of cancer when she could, but she never felt like they had the same experience. The last two weeks of Iman’s life were spent in the hospital at Georgetown. Chellese lived three hours away, but made that drive six times because she loved the sh*t out of that girl, and would follow her to the end of the world. There was never any question about it. Chellese even damn near lost her job. But as hard as it was to be there and watch her soul mate suffer, it was harder not to be there because of the fear of missing something. Iman’s hospital room was full of people who adored her, including friends from Hampton University who had flown in to see her. She was a genuinely caring person, who showed up for so many of her friends during their past challenges. Chellese sat there and talked to Iman until she fell asleep, and then she fell asleep herself. Chellese woke up to sounds of the nurse coming into the room saying that Iman was coding. And so Chellese and Iman’s other loved ones just talked to Iman until she went. “I was there holding her hand when she took her last breath,” Chellese said. She still grieves the loss of her best friend. “It really hit me on my cancerversary last December, because it was something that Iman always made a big deal about for me,” Chellese said. For example, when Chellese hit her five-year no evidence of disease (NED) mark, Iman planned a spa day for her. She didn’t want to piss on Chellese’s parade and have her own illness overshadow this triumph. But Chellese didn’t want to rub her celebration in Iman’s face either. Chellese holds the profound notion that having Iman as her friend makes her a better friend to other people, and that giving back that kind of love to other people is the best way to honor Iman. Rest in beauty, peace and power, sweet friend Iman.